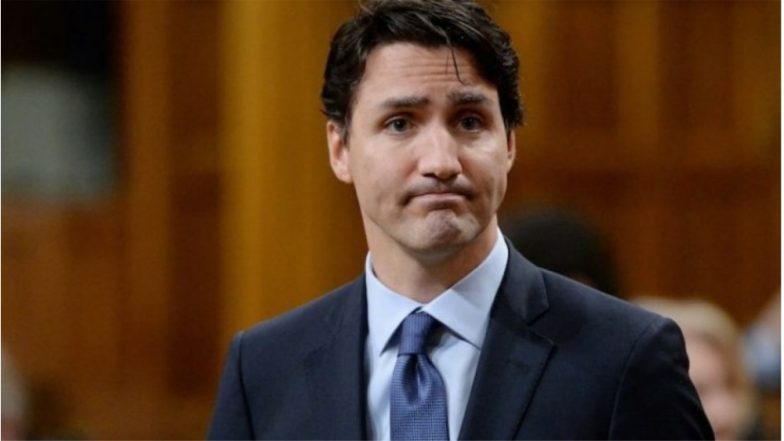 Ottawa, April 3: Canadian Prime Minister Justin Trudeau has expelled two MPs from his party's caucus after they accused him of meddling in a criminal case involving an influential company. Jody Wilson-Raybould and Jane Philpott had already resigned from Trudeau's cabinet citing their concerns over the SNC-Lavalin affair, the BBC reported. Now they have been expelled from Trudeau's Liberal Party, months before a general election. Second Minister Resigns from Justin Trudeau's Cabinet Amid Scandal. The SNC-Lavalin controversy has cast a shadow over Trudeau's leadership. Andrew Scheer, the leader of the opposition Conservatives, said on Tuesday that the Prime Minister had betrayed justice by removing two corruption whistleblowers. Trudeau repeatedly spoke about the breakdown of trust between Wilson-Raybould and Philpott and members of his staff. "The trust that previously existed between these two individuals and our team has been broken," Trudeau told the media shortly after informing his caucus. "If they can't honestly say they have confidence in this team... then they cannot be part of this team." Philpott has been vocal about her concerns with the government, and gave an interview in a national magazine last month in which she said "there's much more to the story that needs to be told". Trudeau said his decision was sparked by the revelation that Wilson-Raybould had secretly recorded a conversation she had with Canada's former top bureaucrat, which she released publicly on Friday. Wilson-Raybould said the tapes backed up her claim that government officials inappropriately pressured her to shield SNC-Lavalin from prosecution. The Canadian firm is accused of bribing officials in Libya to win contracts under Muammar Gaddafi's regime. SNC-Lavalin has openly lobbied for an agreement that would allow it to avoid prosecution and instead face alternative penalties or measures, such as a fine. Wilson-Raybould said members of Trudeau's inner circle pressured her to cut a deal, and when she did not, she was removed from her position as Justice Minister. Trudeau has repeatedly denied that there was any wrongdoing by him or his officials. The political controversy, which has been dragging on for weeks, has caused Trudeau's popularity drop sharply in opinion polls a few months before a general election. He said he is expelling the women from the caucus to put an end to infighting, which he had vowed to stop when he was elected in 2014.